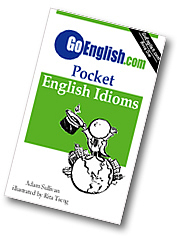 Today's Idiom = "Dart In And Out"
Darting in and out is arriving, then leaving, then coming back again repeatedly. Example: "Is Jean around the office?" Reply: "Yes, she has been darting in and out all day."